heeeey wait a second, how did that octopus manage to extricate itself from that snow octop-angel without scuffing it up at all? AND WHAT ARE THOSE EAR-MUFFS FOR OCTOPI DO NOT HAVE EARS. 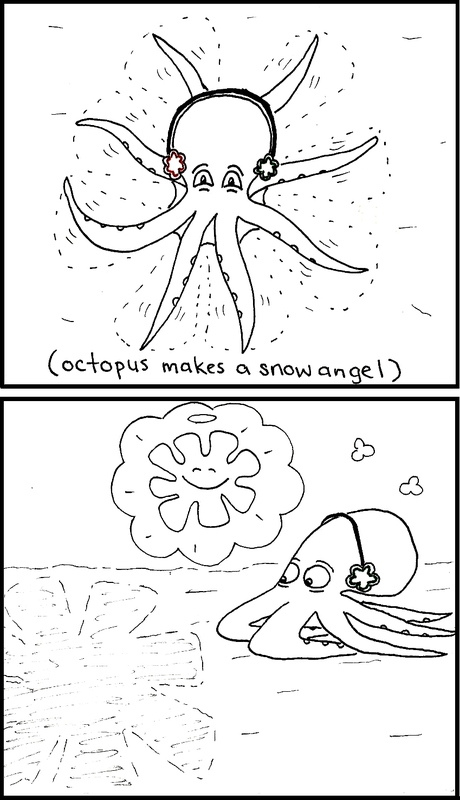 This comic was posted in comic and tagged angel, earmuffs, funny, octopus, perspectives, snow.